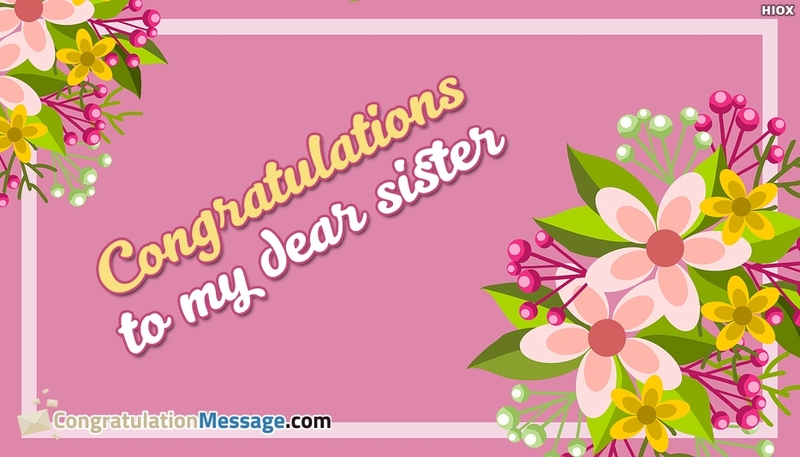 A flower filled colorful ecard to wish Congratulations to your dear Sister on her achievement, awards, graduations of any of her new beginnings. A simple wish could make her feel proud and special. Just share it with your dear sister to put a smile on her face and let her know you are always a pride brother or sister of her. Feel free to download.